Edgy Garnish - rokz is all about the garnish. 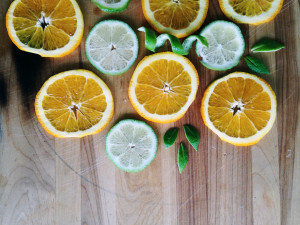 Simple cuts of citrus add flavor, aroma and visual appeal to cocktails. Every bartender knows a garnish can visually make or break a cocktail. A mushy slab of lime hanging limply over the edge of even the zestiest margarita deflates the enthusiasm of a thirsty customer. On the other hand, a sassy twist of orange peel or luminous half-moon of Asian pear peaks the imagination and appetite of the drinker. Here at rokz we are all about the garnish and enjoy experimenting with compliments to our crafted infusions and flavored rimmers. It is fun to turn a cocktail glass into an artist’s palette but to do so requires a few simple tools. So, we’ve assembled a short list of the cutlery to add that finishing dash of color to your evening libation. Paring Knife – This basic tool needs to be sharp and comfortable to grip and is the tool of choice for citrus wheels and slices as well as carving fancier shapes such as stars out of blandly shaped but flavorful fruit. Chanel Knife – Bartenders and chefs use this blade to craft curls or twists for finishing touches. It may seem extravagant to beginning cocktail lovers, but it soon becomes a favorite. Grater – There a number of graters out there: tiny ones for herbs like nutmeg and larger versions for flavors like chocolate. Don’t let your imagination be limited by the lack of a grater. Zester – Sometimes referred to as a micro grater, this tool is designed for grating colorful citrus peel shavings. 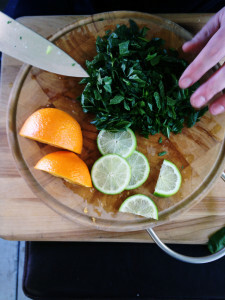 Larger Chopping Knife – Vital for cutting wedges out of fun fruit like pineapple and papaya, chopping knives are also helpful for mincing herbs like mint for sprinkling on top of drinks. And finally, don’t scrimp on safety. 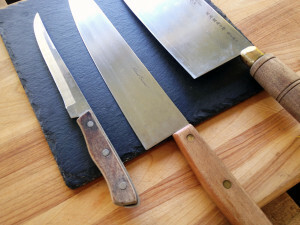 Remember that a sharp knife requires less pressure than a dull knife–keep those blades honed! A simple sangria dressed up with citrus garnish. 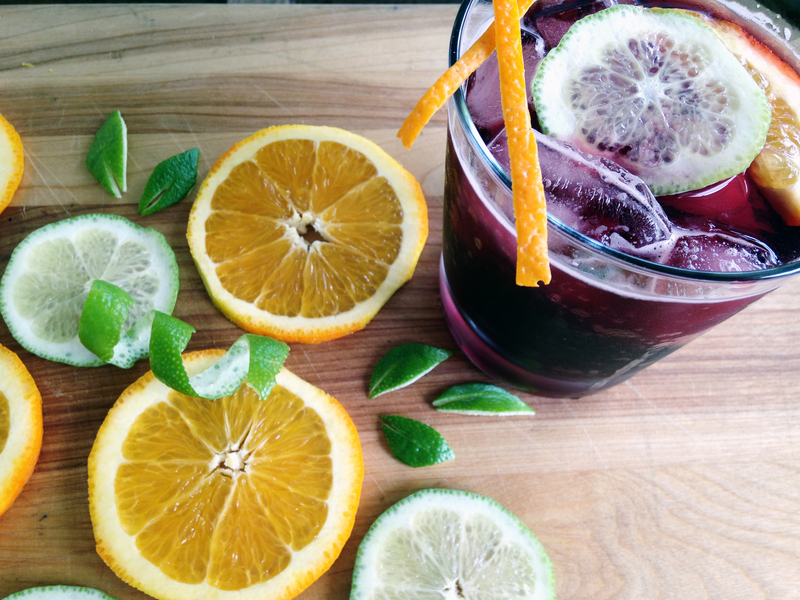 Always remember to rim your glass with the sugar or salt of your choice before starting on the garnish. 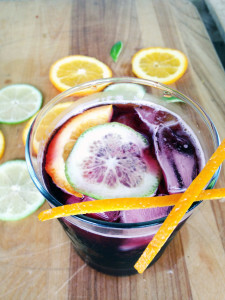 The actual drink is traditionally assembled last. This brings out the flavor, scent and artistry of each cocktail. Bon appetit! 1 1/2 cups juice – berry, apple, etc.